At the archaeological locality “Drenovac”, near the village of the same name in the municipality of Paracin in central Serbia, the construction of the first scientific center for the study of Neolithic in the Balkans will commence. 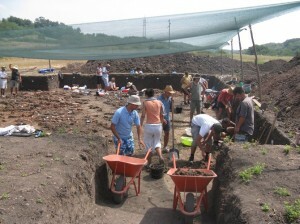 This unique scientific institutions will represent the field branch of the Institute of Archaeology in Paracin. Tihana Pavicevic has more. The construction project for the center also envisages the making of a plastic green house for growing the organic food, and this modern scientific institution should have an ecological dimension, which entails the maintenance of a green area to surround this locality. 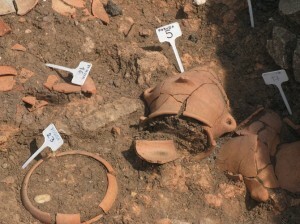 In the last phase of the construction of the institute in Drenovac, a hotel should be erected, along with the museum for exhibitions of the material from archaeological excavations, says director Peric. The entire project will be financed by the Serbian ministries of culture and economy, in order to explore in detail the Neolithic settlement in Drenovac, as well as around 100 listed localities in the middle-Morava region. According to Slavisa Peric, especially interesting is the fact that at issue are the settlements with oldest races of cattle growing and agriculture in the Neolithic period. He has emphasized that up to 1,500 various facilities can be expected in this locality, which means there might have been more than 2,500 people living there. 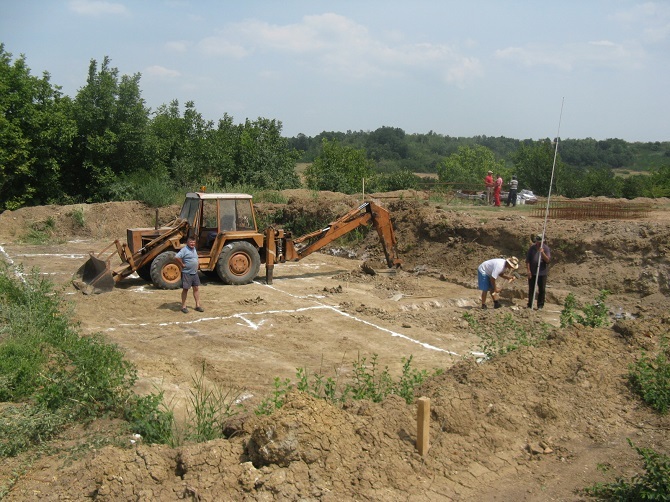 This is the exact reason why the Serbian Institute of Archaeology applied for a concourse in the EU with the project “Drenovac – Neolithic mega polis”, which should include parallel research in the Iberian peninsula, Serbia and Moldova. This project has been ranked among the top eight by the EU, and by the end of this year it will be known whether it will be granted.